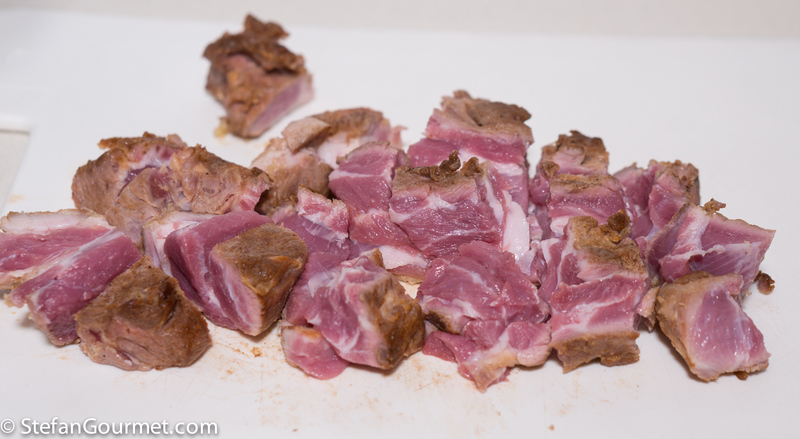 For the lamb ragù you get the best results (more tender meat) by browning the meat in one piece before grinding it, and then cooking it sous-vide. Season the lamb on all sides with salt and freshly ground black pepper. 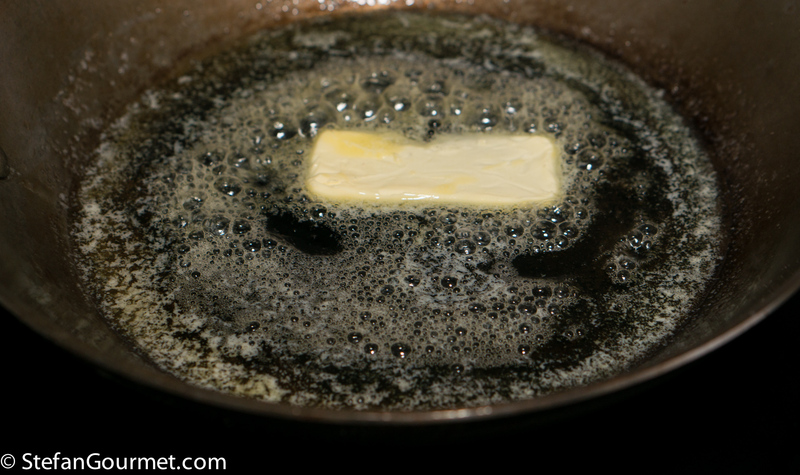 Melt 2 tablespoons of butter in a frying pan over medium-high heat. The butter will start to foam. 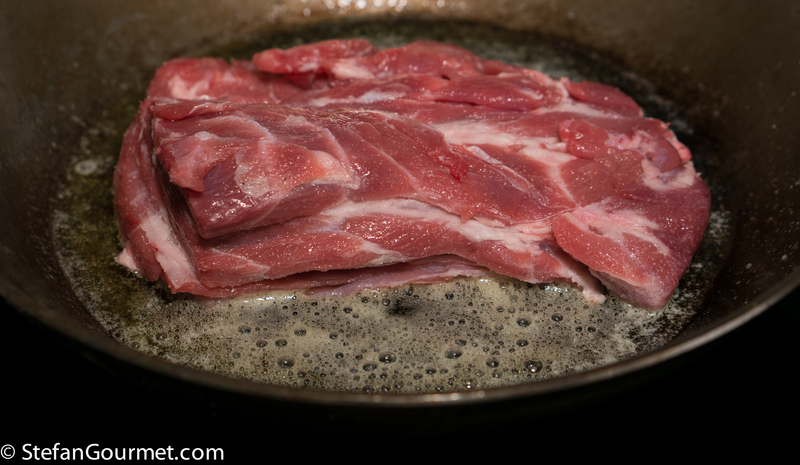 As soon as the foam starts to retract, add the lamb. Brown the lamb on all sides, making sure that the butter does not burn. 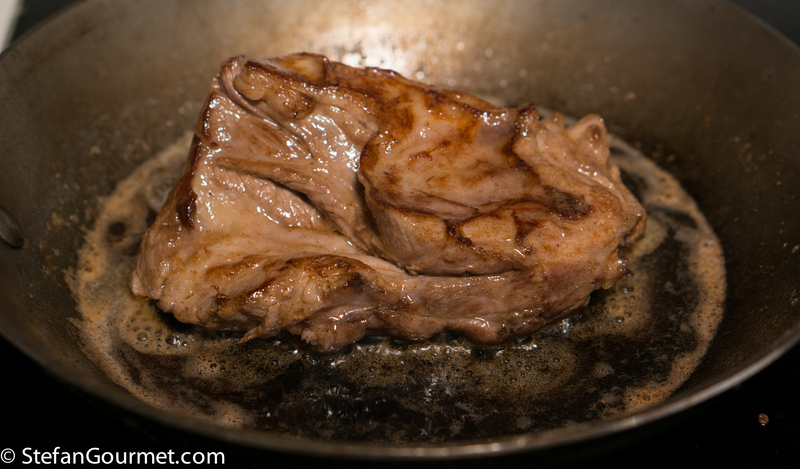 Take the lamb out of the pan and set aside to cool. 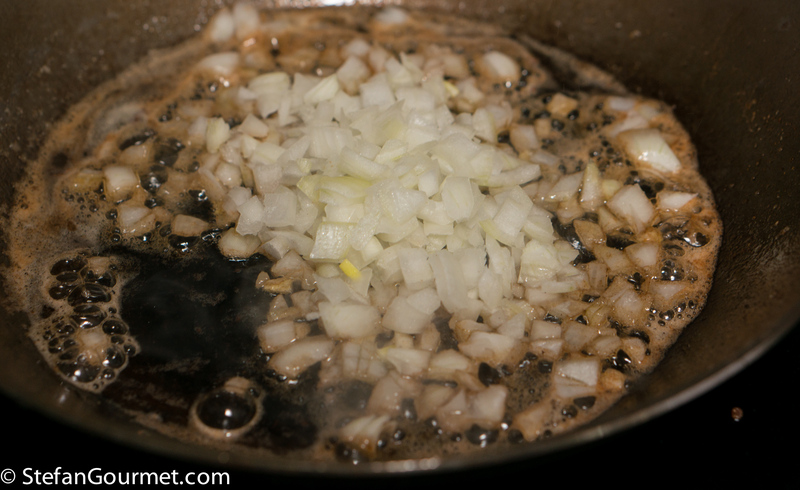 Stir over low heat until the onion starts to fall apart. You want soft onion, not crispy onion. 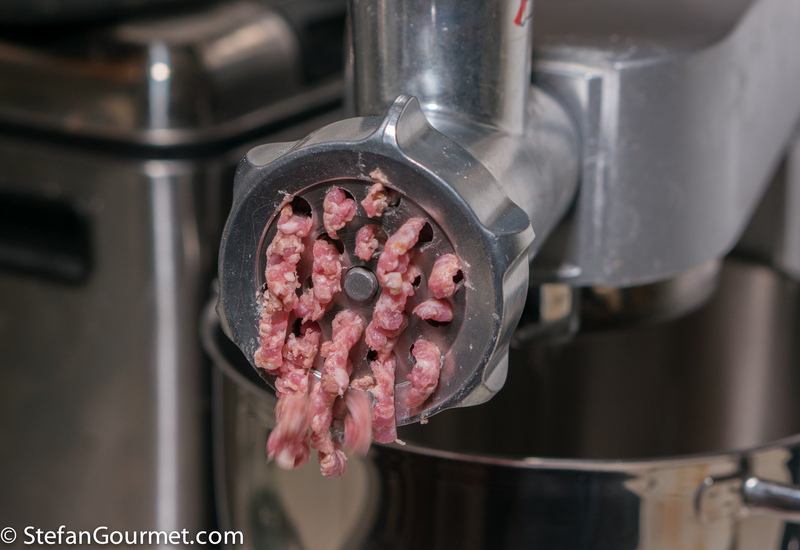 …cut it into pieces suitable for the meat grinder. As you can see the meat is still raw on the inside. 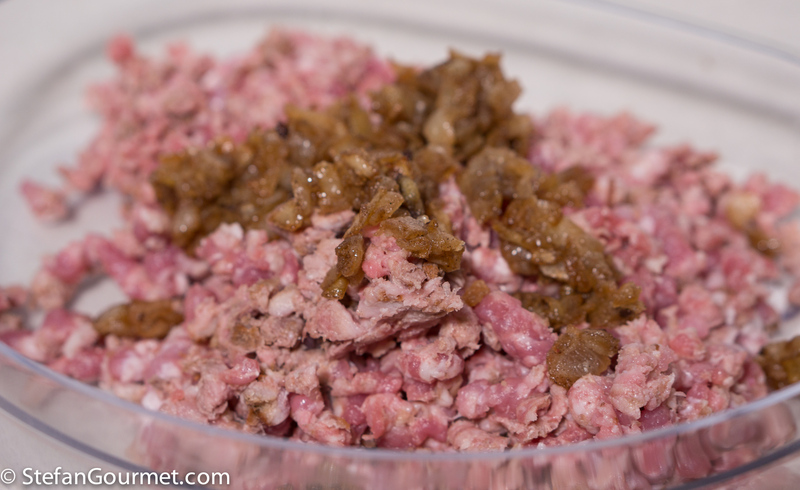 If using lamb that is already ground, you can obtain a similar result by browning only a portion of it (but ground lamb does not brown as easily as a whole piece). 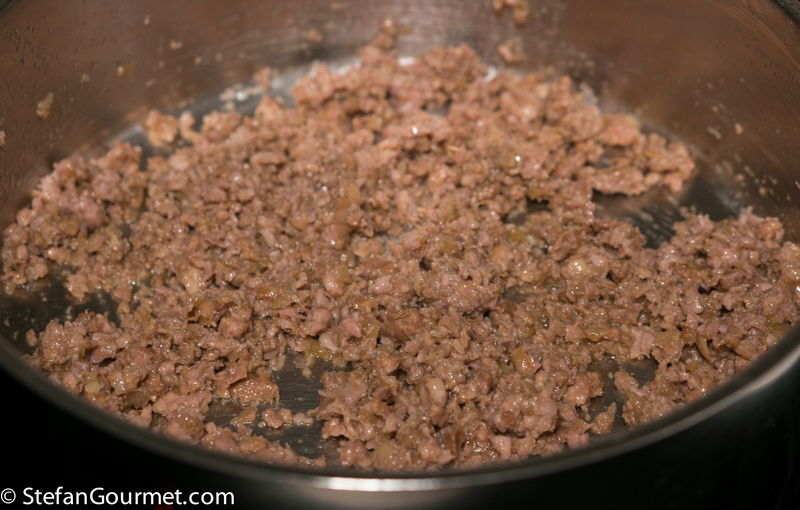 Add the onions to the ground lamb and stir to mix. 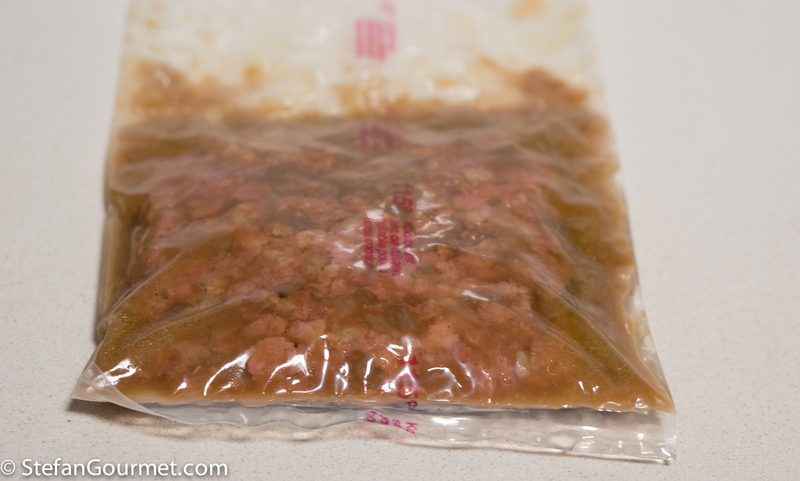 …and cook sous-vide for about 24 hours at 74C/165F. 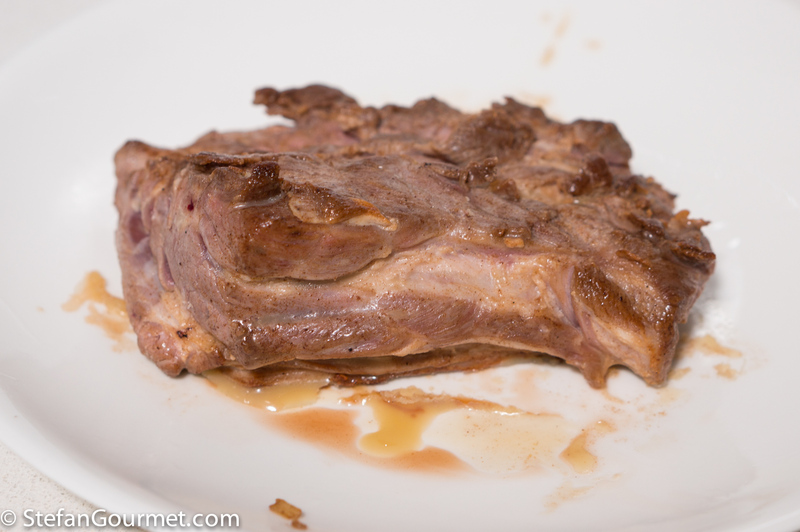 It is fine to cook it only 21 hours or so, so you can actually prepare the lamb after dinner and put it in the sous-vide for dinner the following evening. The next day, bring a pot of water to a boil. 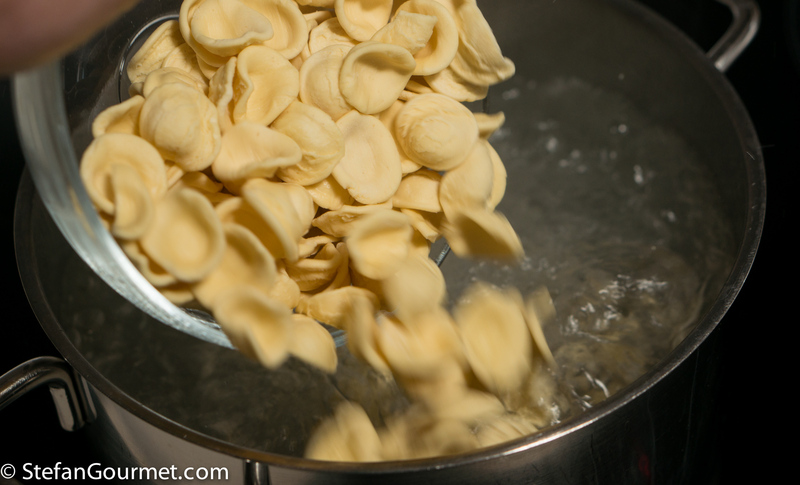 When the water boils, add salt and the orecchiette. Check the package for the cooking time. 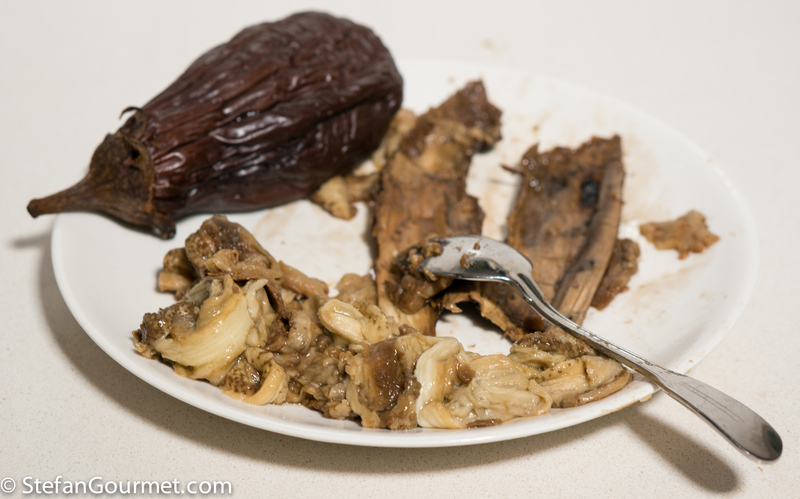 Meanwhile, cut open the smoked eggplant and use a spoon to remove the flesh. 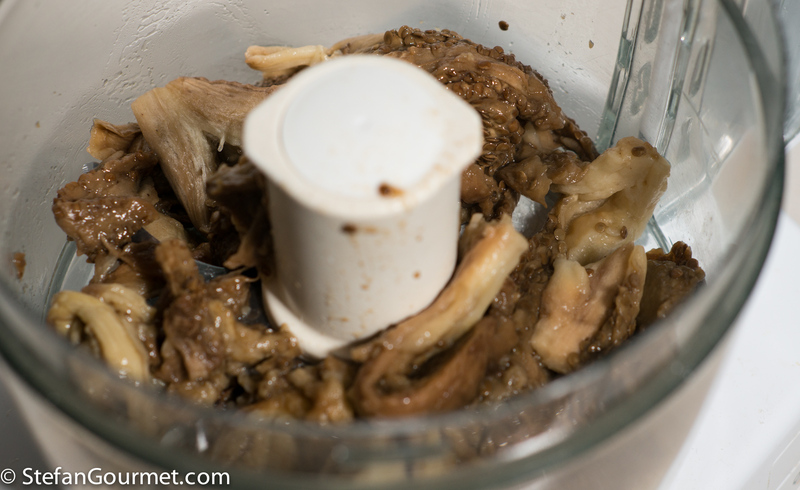 Discard the stem and the skin. 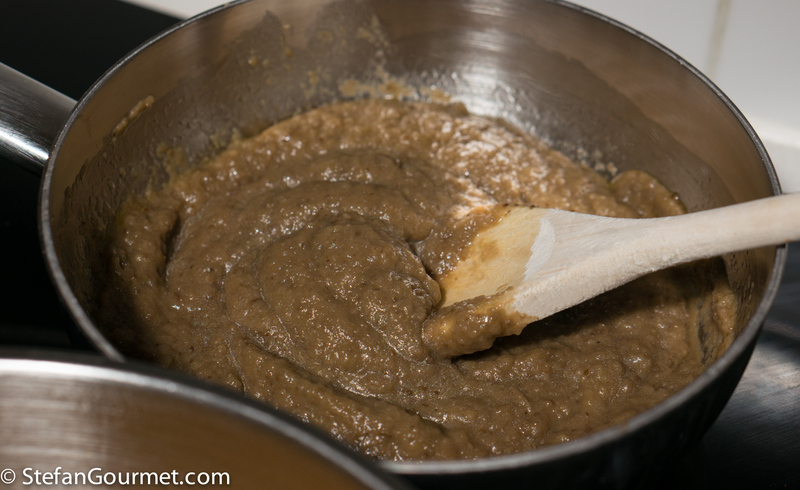 Transfer the eggplant puree to a saucepan. 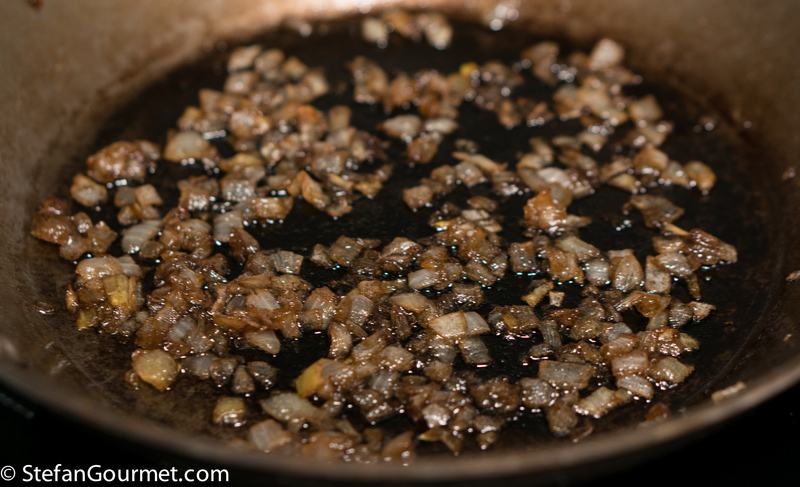 Add about 2 tablespoons of good quality extra virgin olive oil, and season to taste with salt and pepper. 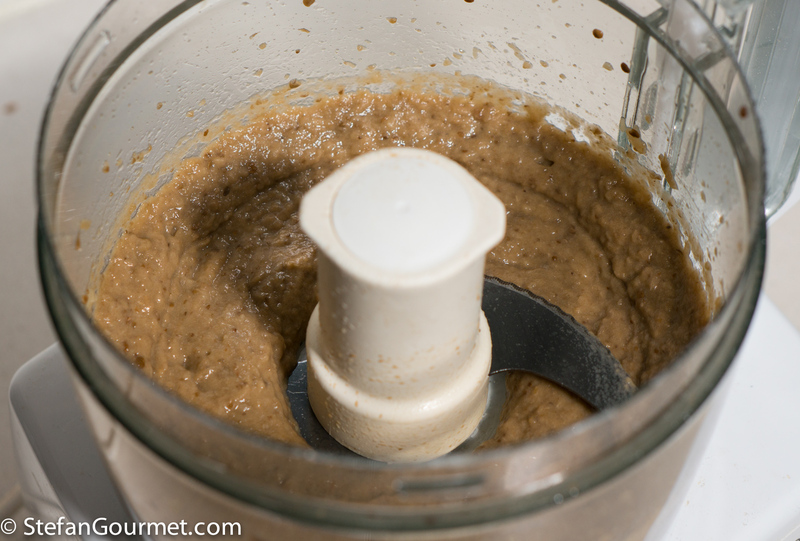 Stir the eggplant puree over medium heat until heated through, then keep warm over very low heat (stirring regularly). 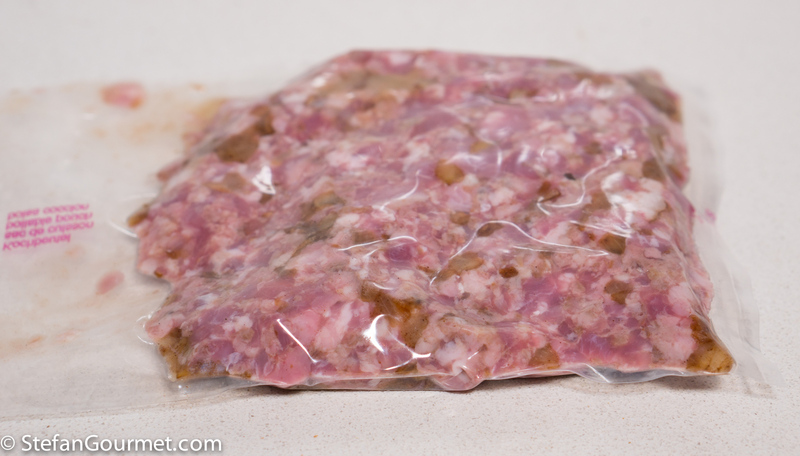 Take the bag with the lamb out of the sous-vide and cut it open. 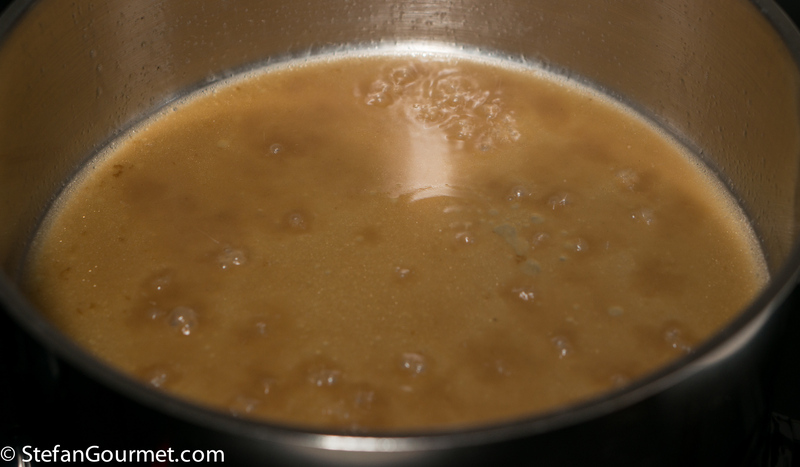 Pour the juices into a frying pan through a sieve. Now add the meat and turn down the heat to low. 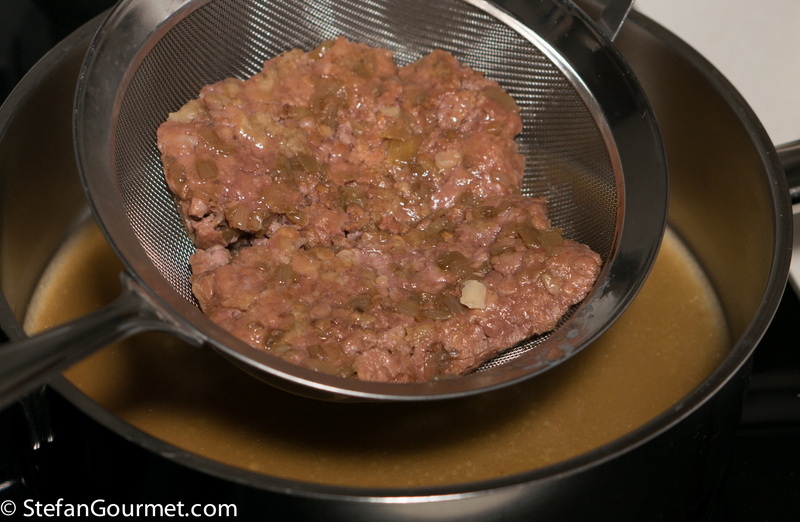 Stir to loosen up the meat (it gets stuck together during the sous-vide cooking) and mix it with the juices. Taste and adjust the seasoning with salt and freshly ground black pepper. When the pasta is al dente, drain it, but reserve some of the pasta cooking water. 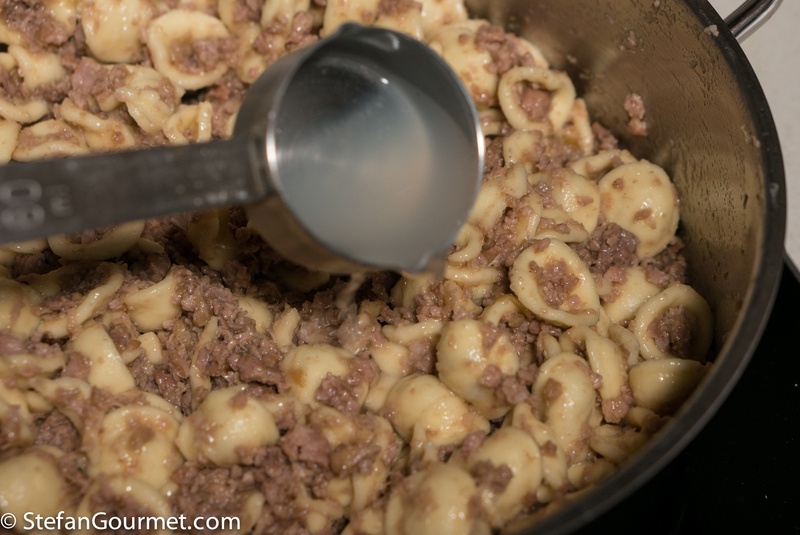 Add the drained pasta to the ragù. 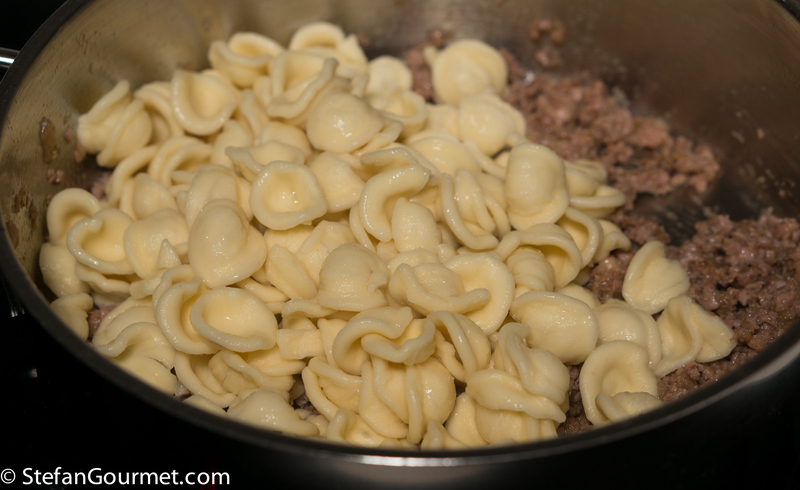 Mix the pasta and the ragù, adding the reserved pasta cooking water as needed if it is too dry (but make sure it won’t get too wet either). The result should be moist. 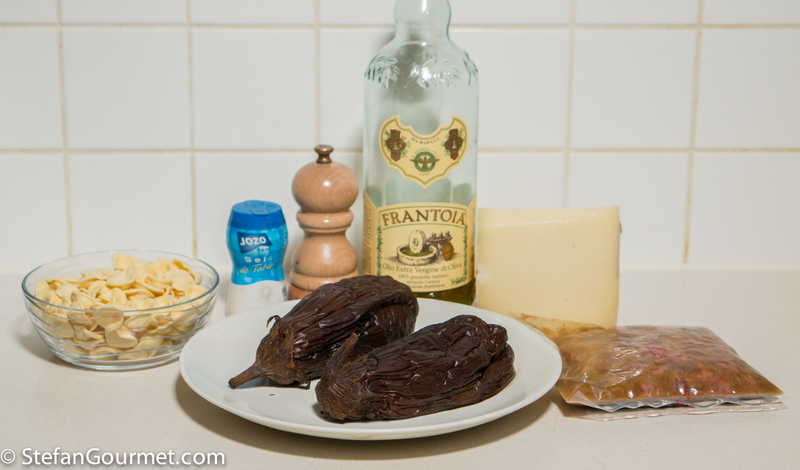 Place a ‘ring’ of smoked eggplant puree on each preheated plate. 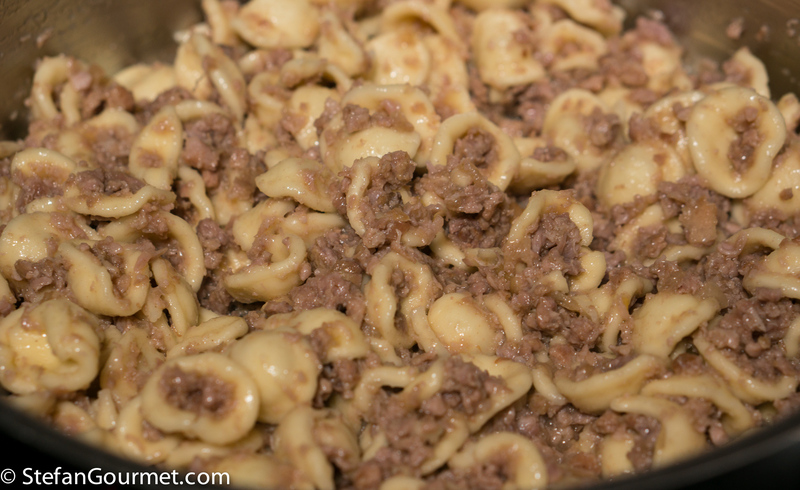 Place the pasta with ragù in the center of each ring. Garnish with freshly grated aged pecorino cheese, if you like. Serve at once. This is great with pinot noir that is slightly smoky (which many pinot noirs are). 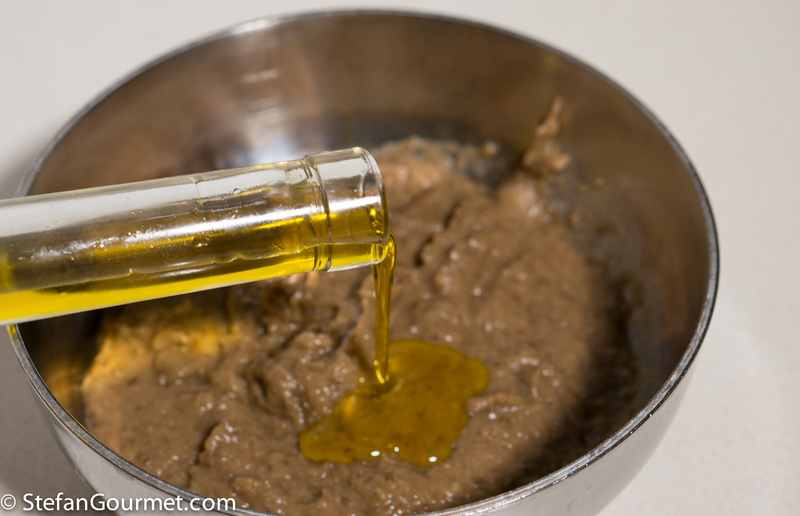 Hummus is one of those things that is so much better if you make it yourself rather than using store-bought. An interesting variation on a theme . . . tho’ I neither ‘sous-vide’ nor smoke at home, methinks this has given some interesting ideas ! And my food-Italian and even food-Dutch are ‘improving’ with every post 🙂 ! Interesting that the bag juices don’t congeal when added to the pan. That never happens after a cook above 70C, because all proteins have already congealed at that temperature. Excellent to know. Thanks Stefan. Devo dire che ho recentemente recuperato delle melanzane in crema, ma per una preparazione molto più semplice. Posso pubblicarla sul mio gruppo Facebook Il Gusto di non Sprecare? I have only begun eating lamb a few years ago (I had always found it to have a strong gamey smell and taste) but I discovered Ontario lamb and fell in love! 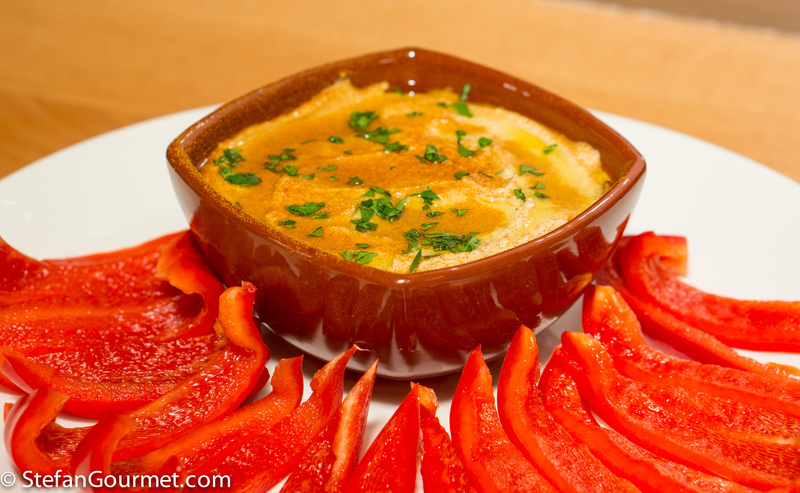 This would be a comforting dish as we head into the cooler temperatures. 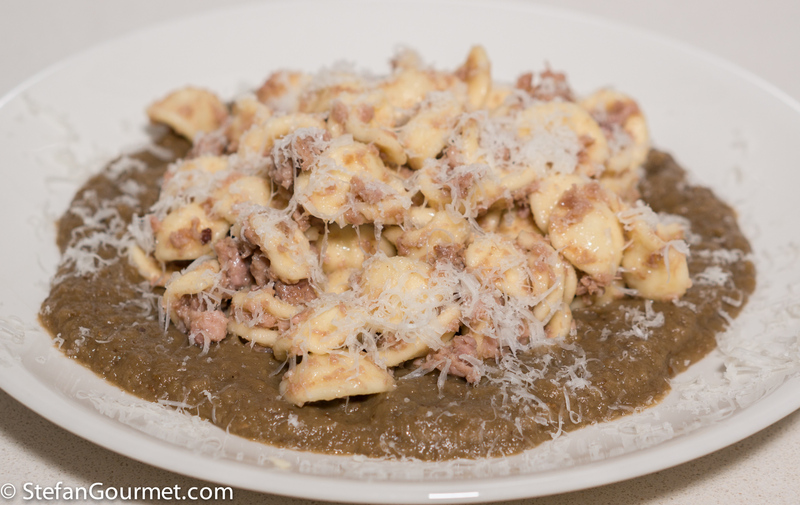 The eggplant purée is a lovely foil for the rich ragu, creamy in texture but light. Love the pasta choice too.